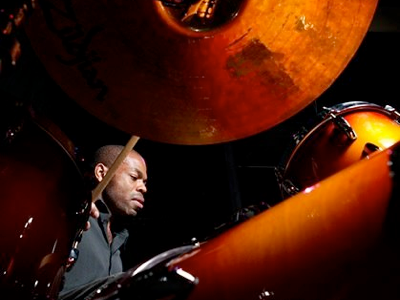 From playing major world-wide festivals as the musical director of Sigma and the drummer with Labrinth to futuristic hip-hop artist Spacek, jazz-funk artists Don Blackman & Rahsaan Patterson, French dance artists Modjo and 80s superstars Cyndi Lauper and Imagination, it becomes apparent just how versatile Paul’s drumming is and why so many acts are lining up to work with him. Performing regularly in the house band at one of London’s top industry nights ‘The 10 Rooms’ also gave him the chance to back such acclaimed artists as Justin Timberlake, Macy Gray and The Neptunes. Currently on tour with Sigma. This entry was posted in Team on 09/06/2015 by Space UK.